Tom Murphy helps CPA firms accelerate the growth and profitability of existing industry niche practices or start new ones. He has an extensive background helping firms increase wallet share by bringing extensive client-side manufacturing experience to client service teams. 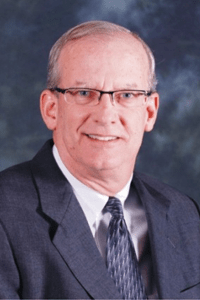 Tom currently serves as the Chief Financial Officer for C. G. Bretting Manufacturing Co., a paper converting equipment manufacturer with operations in Northern Wisconsin. Prior to joining Bretting, he served Executive Vice President and national practice leader of the Manufacturing and Distribution practice for McGladrey, a top five national accounting firm. In addition to his work in practice growth, Tom also directed McGladrey’s annual survey of the industry, coordinated industry conferences for markets nationwide and co-authored reports with the National Association of Manufacturers (NAM) Manufacturing Institute on critical issues facing the industry. Tom has also served as chief financial officer for manufacturing and distribution companies in the pulp and paper, industrial parts, truck parts and aerospace industries. His experience includes strategy development and implementation, new product innovations, international operations and sourcing, company restructurings, production rationalization and implementation of new technologies. Recognized as an advocate for the industry, Tom often speaks to groups on the challenges facing manufacturers and distributors. He has made appearances on Fox Business News and been quoted by Reuters, USA Today, the Wall StreetJournal.com and SmartMoney.com. He has served on the board of directors for NAM and sat on the Small and Medium Manufacturers and the Tax and Domestic Economic Policy committees. He was also a trustee for The Manufacturing Institute, NAM’s research and education arm. Murphy holds a bachelor’s degree in economics from Northern Michigan University in Marquette, Michigan. He also completed executive studies at the University of Chicago, Graduate School of Business.